It’s that time of year again. 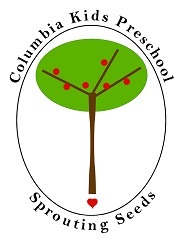 Columbia Kids and Sprouting Seeds will be holding their annual benefit auction on March 3rd 2012 at Club Green Meadows in Vancouver, Washington. The theme this year is the Roaring 20s. Tickets are $35.00 each. Don’t miss this wonderful opportunity to dress-up, enjoy a wonderful meal, mingle with parents and raise money for your favorite cause. The evening will include both a silent and live auction. If you have questions please contact Megan Vandyne, auction chair. Thanks! !